Students in this course will study the different aspects of the church ministry to deaf people. Different aspects include deaf people, the church ministries, the hearing church staff's relationship to the deaf ministry, the interpreters, a deaf church and a pastor to the deaf, and the materials for use in deaf ministries. Baptist Theological Seminary, and his Th.M. is from Columbia Theological Seminary. Carter is a native of Dallas, Texas and has served 39 years as field consultant on ministry to the deaf throughout the Southern Baptist Convention. He is presently retired. "Teaching and Leading in the Deaf Church"
This course is designed to introduce students to the teaching and leading ministry of the Deaf church. Students will study a Biblical rationale for specialization in the area of deafness. The course will lead students to understand their own needs to be equipped to teach and lead in the Deaf church. The implications of the Deaf congregation for teaching and leading will be explored. Emphasis will be given to helping students learn how to equip others to teach and lead in the Deaf church. 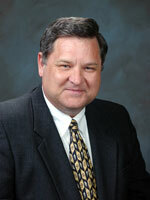 Dr. Wiltshire is currently the Consultant on Special Ministries to the Baptist State Convention of North Carolina. His B.A. degree is from Howard Payne University, his M.Div. 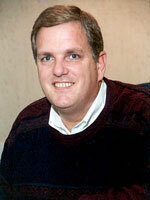 is from Southwestern Baptist Theological Seminary, and his Th.D. is from New Orleans Baptist Theological Seminary. Donnie has 31 years experience as a pastor of the Deaf. "Preaching in the Deaf Church"
This class will attempt to provide applicable tools for the student to be prepared in developing the skills that are necessary for preaching in the Deaf Church, and to understand the sermon construction process leading from design and development to the delivery of the sermon. Therapy from Mid-America Nazarene University. He began his ministry career in 1984, and currently is Associate Minister, Deaf Ministries Director, at the College Church of the Nazarene in Olathe, Kansas on the campus of Mid-America Nazarene University. students, provide individualized instruction to meet the needs of students and communicate effectively with parents and other professionals. School for the Deaf at Hampton. 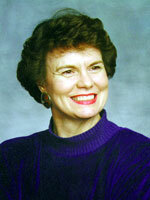 She is a prolific writer of curriculum for Christian Academic Publications & Services. 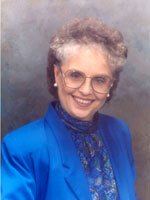 She has held numerous positions as consultant, speaker, and adjunct faculty. "Spiritual Development For Pastors to the Deaf"
Spiritual development in life embraces the three elements of clear thinking, personal values, and competent skills. This course will help you to (1) understand key principles and concepts regarding spiritual growth, (2) personally experience spiritual growth in your own life, and (3) develop specific skills regarding the Christian life. The foundation for your experience will be key issues in learning drawn from the field of educational pyschology. God created us a certain way in order to learn from Him and about life. We are mathetas - disciples, apprentices - in our walk with the Lord, our Master. Understanding His design will focus your thoughts, attitudes and actions to maximize your own spiritual growth in the Lord. 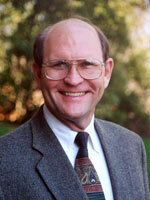 Dr. Yount is Professor of Foundations of Education at Southwestern Baptist Theological Seminary in Fort Worth, Texas. He has served there since 1981. He received his B.S. from the University of Maryland, a M.A.R.E., and the Ed.D. from Southwestern Baptist Theological Seminary. His Ph.D. is from the University of Texas. Rick has served as a dorm counselor at Gallaudet College, a Minister to the Deaf, and Minister of Education at various churches. In recent years he has been teaching Pastors to the Deaf during the summer in Russia. 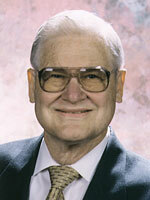 You may find pictures of these teaching trips at his personal website: Dr. Yount's Web Site. "Intro to Cross-Cultural Counseling with the Deaf"
This course is designed to introduce students to Deaf culture and culturally affirming approaches to counseling. Students will be introduced to culturally relevant information that empowers Deaf clients and their communities. Students will be given healthy Biblical foundations for counseling emotional and spiritual issues to a Deaf person. Students will be introduced to Christian counseling as an important benefit to the local Deaf congregation, and to the unique issues that Deaf people face in counseling. Rev. Garns received her B.A. in Christian Education and an M.A. in Psychology from Cornerstone University. Sue has an M.A. in Marriage, Family & Child Therapy, and an M.A. in Pastoral Counseling from Trinity College of Graduate Studies. She currently is pursuing course work toward a Psy.D. from Trinity College of Graduate Studies. Sue is founder of the “Deaf Journey Counseling Program" in Orange County, California.